Over 16 hours of audio interviews with residents of Fogo Island, collected over the past thirty years, is now available on-line through the Intangible Cultural Heritage Collection on Memorial University’s Digital Archives Initiative. 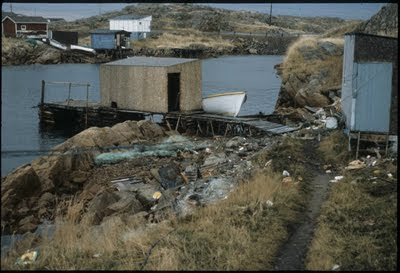 These audio interviews are available in full on the Digital Archives Initiative and provide a clear picture of the old and current ways of fisherman on Fogo Island. The materials collected vary across the wide spectrum of intangible cultural heritage. Included in the inventory is fishing premises and practices, berry picking, wedding customs, fiddling, vernacular architecture, cultural landscapes, food preparation, textile traditions, and furniture. Bill Godwin describes a "choice fish"